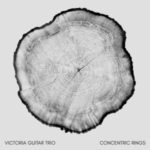 Victoria Guitar Trio (Adrian Verdejo, Bradford Werner, Michael Dias) perform Canadian works for three guitars by Scott Edward Godin, Benton Roark, Jordan Nobles, Rodney Sharman, and RD Wraggett. Producer: Mark McGregor; Technician: Brian Campbell; Mastering: Susana Valente; Recorded at VSO School of Music, Vancouver, BC. TK450 © 2017 Redshift Records. Available on SoundCloud. 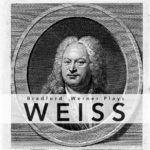 Sylvius Leopold Weiss (1687–1750) was a German composer and lutenist. A close contemporary of Bach, he was one of the most prolific lute composers and highest paid musicians of the Baroque era. Repertoire: C Major Suite, Passacaille, Capriccio, E Minor Suite, Tombeau sur la Mort de M. Comte de Logy. I have a YouTube channel filled with my performance videos, online, lessons and more. You can subscribe and join thousands of followers. You might be interested in these categories and samples. Below are a few samples to get you started!